An ultimate combination - the stunning Ferrari 430 vs Lamborghini Gallardo. 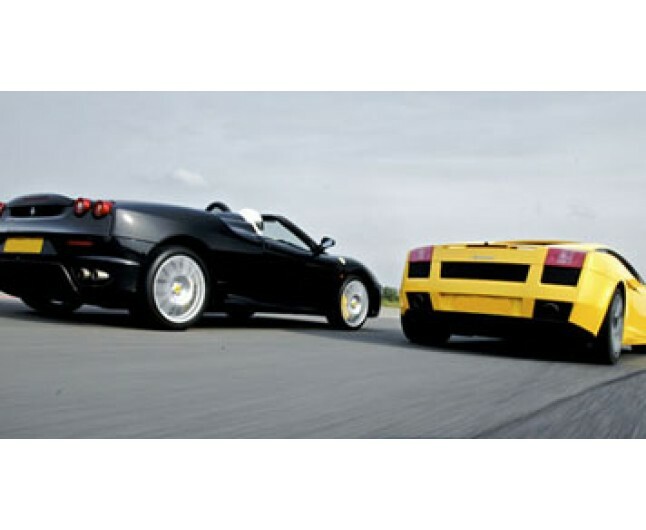 The Ferrari and Lamborghini Experience is a chance to drive and appreciate the evocative Ferrari 360 or 355 dependent on availability on day and the amazing Lamborghini Gallardo. The powerful Italian beauty, the Ferrari 360 or 430 offers awesome handling and performance. Whilst the Lamborghini Gallardo is small and agile with all-wheel drive, 5-litre 500 bhp V10 and paddle-shift transmission. Certificate valid for 12months from date of purchase, for one person only. Courses run in morning and afternoon sessions and run on selected Saturdays and weekdays throughout the year. The Ferrari & Lamborghini Experience lasts approximately 3 hours. Spectators welcome.